These durable (but affordable!) 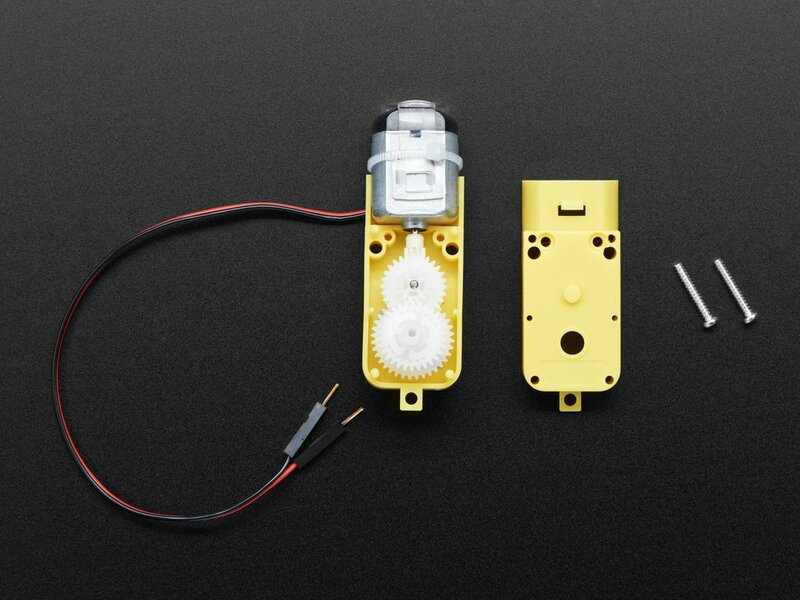 plastic gearbox motors (also known as 'TT' motors) are an easy, low-cost way to get your projects moving. 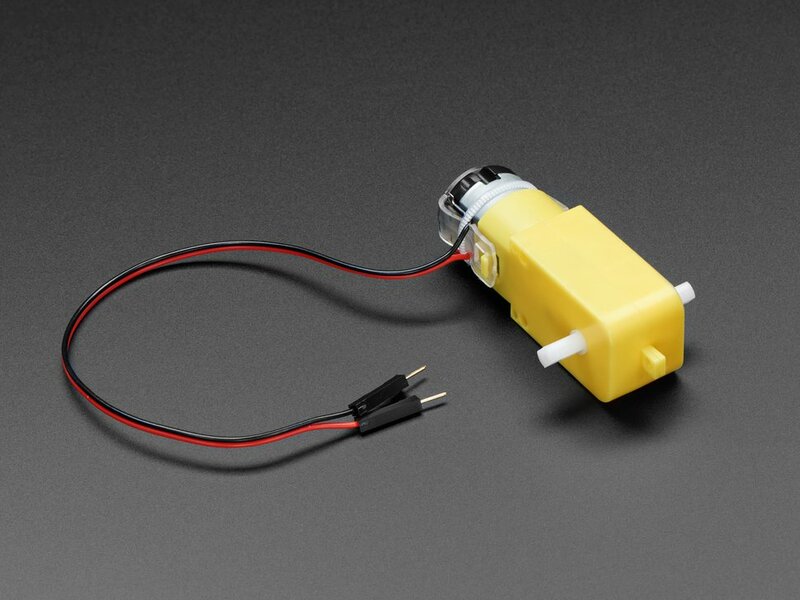 This is a TT DC Gearbox Motor with a gear ratio of 1:48, and it comes with 2 x 200mm wires with breadboard-friendly 0.1" male connectors. Perfect for plugging into a breadboard or terminal blocks. Note that these are very basic motors, and have no built-in encoders, speed control or positional feedback. Voltage goes in, rotation goes out! There will be variation from motor to motor, so a separate feedback system is required if you need precision movement.